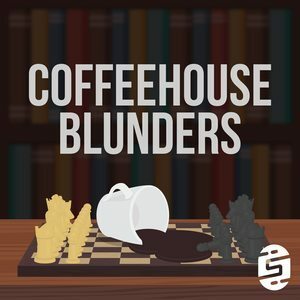 We found 3 episodes of Coffeehouse Blunders with the tag “carlsen”. Chess Grandmaster Robert Hess joins Danny (while James is off traveling the world) to review everything that was the 2018 World Chess Championship match between Magnus Carlsen and Fabiano Caruana. We are back from a break and the WCC is in full swing! Before that though we have lots of life happening for the greater awesome. Motz does some urban hiking and joined a Gym and Danny just moved! We also break down all the WCC! It is go time! Carlsen vs Caruana in the 2018 World Chess Championship and we have full unofficial coverage! Also lots of silly talk about corn and Starburst!